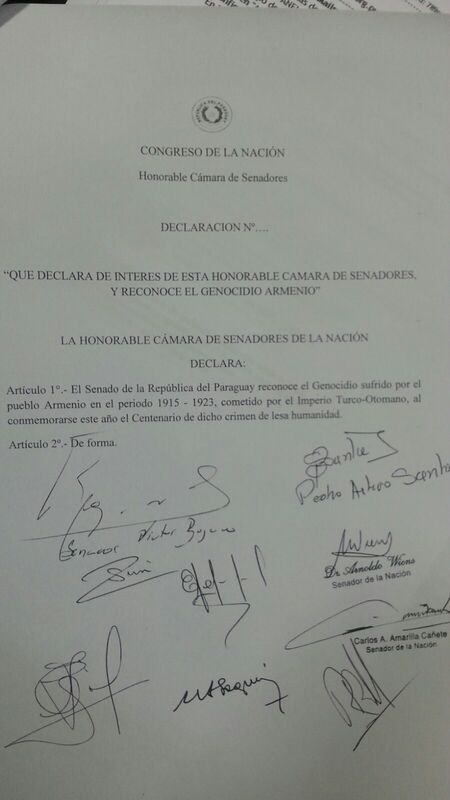 The Senate of the Republic of Paraguay unanimously approved today an official recognition of the Armenian Genocide. 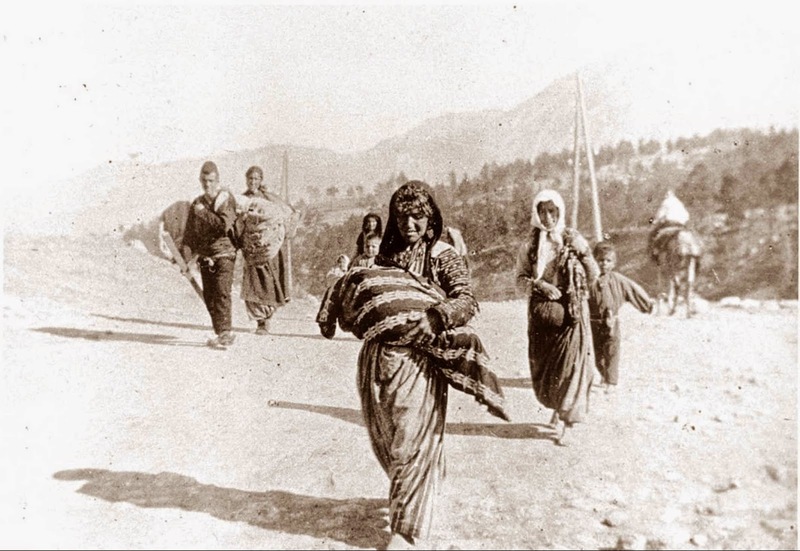 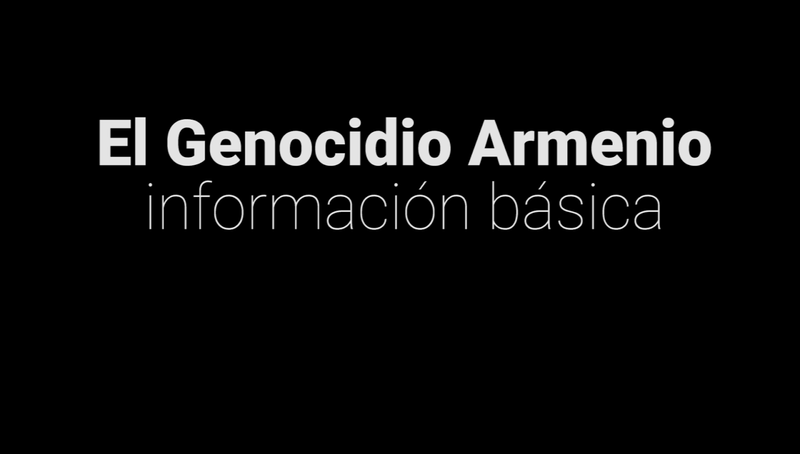 "The Senate of the Republic of Paraguay recognizes the genocide of the Armenian people in the period 1915-1923, committed by the Turkish-Ottoman Empire, when commemorating this year the centenary of that crime against humanity," reads Article 1 of the statement presented by the Progressive Democratic Party through the efforts of the Armenian National Committee. 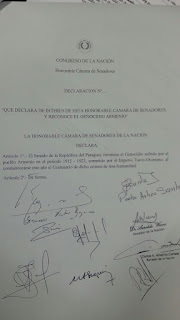 The bill was introduced by Senator Desiree Masi, with the support of Senators Pedro Santa Cruz, Victor Bogado, Arnoldo Wiens, Eduardo Petta San Martin, Carlos Amarilla, Miguel Abdon Saguier, Arnaldo Giuzzio, Roberto Acevedo and Sixto Pereira, representatives of all parliamentary blocs. "The Senate of Paraguay, unanimously recognizing the Armenian Genocide, has joined the majority of South American countries that have already recognized it," stated Alfonso Tabakian, regional Director of the Armenian National Committee of South America. 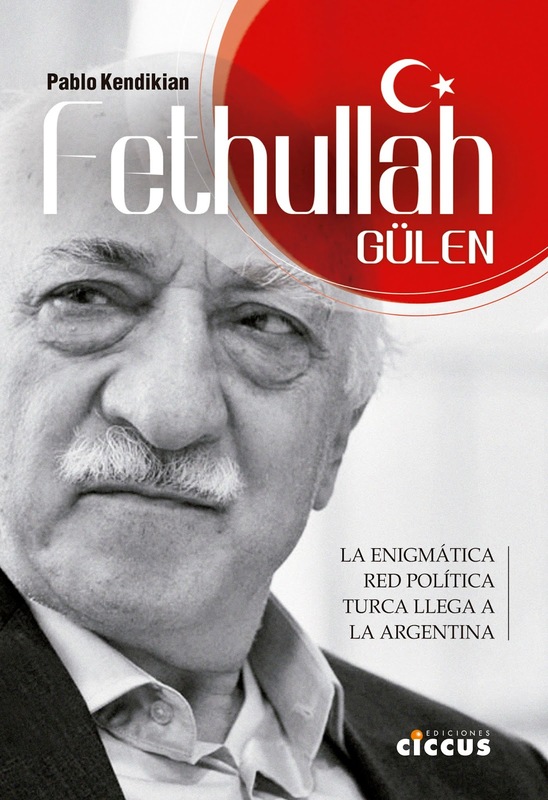 "There were unsuccessful efforts from the Turkish and Azeri diplomacy to prevent the resolution." 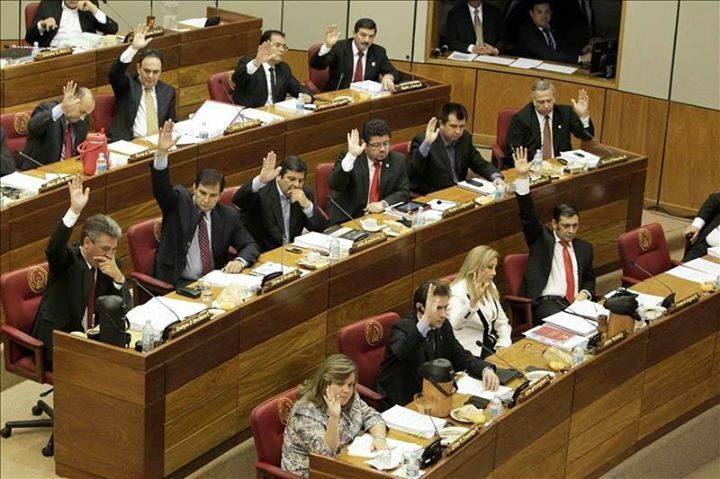 This year, there was a new wave of recognitions from various congresses and international bodies in South America: the province of Misiones, Argentina, the Latin American Parliament, the State of Rio de Janeiro, Brazil, the Federal Senate of Brazil, the Chamber of Deputies of Chile and also by the by Argentine Pope Francis.